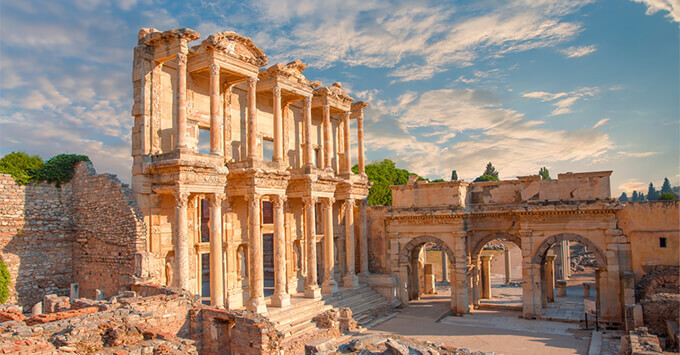 (10:28 p.m. EST) -- Viking Ocean Cruises is offering a new 10-night itinerary, on two departure dates in 2021, that will mark the cruise line's return to Turkey, along with a number of new ports in Greece. Sailing on January 20 and February 20, Viking's "Greek Odyssey" will explore the Aegean Sea sailing round trip from Athens and calling on three new ports for the line: Volos, Greece; Thessaloniki, Greece; and Nafpilo, Greece. All feature a combination of ancient and modern life, including the remains of the Macedonian kingdom of Alexander the Great in Thessaloniki, and the ancient religious center of Dion, located at the foothills of Mt. Olympus in Volos. Other ports of call include Rhodes, Crete and Santorini, with an overnight in Athens. One sea day will feature scenic cruising around Mt. Athos, home to 20 monasteries, and a UNESCO World Heritage Site. The new Greek Odyssey itinerary is available onboard the 930-passenger Viking Sea. All Viking ships are adults-only, with no casino, and a focus on enrichment. Winter is considered the quiet season in Greece, allowing cruisers to avoid crowds while getting to know the culture of the region. A two-night pre-cruise tour and a four-night post-cruise tour, in Athens, are available to add to this itinerary.